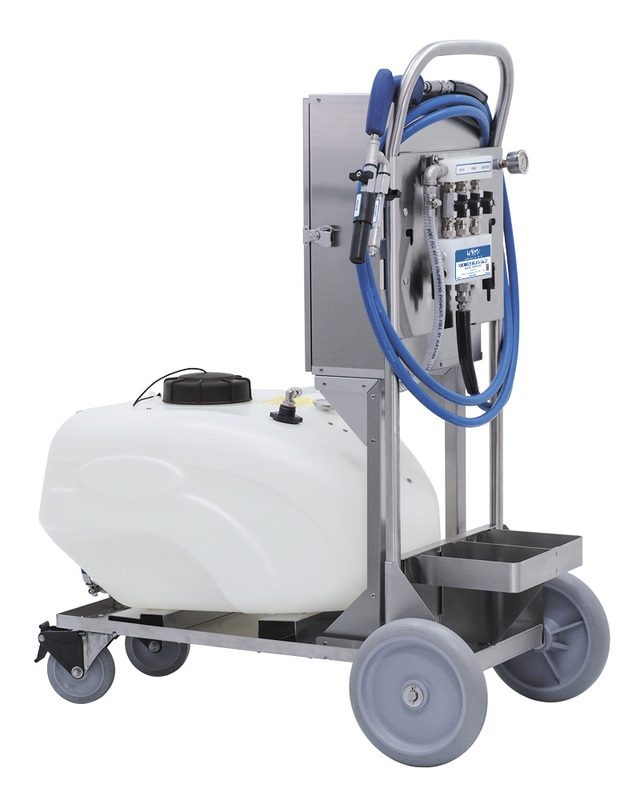 Portable 20 Gallon Small Area Cleaning System (SACS) | Lafferty Equipment Manufacturing, Inc. The Small Area Cleaning System (SACS) is a self-contained low volume Foam/Rinse/Sanitize cleaning system for multiple chemical applications. This convenient system uses a re-chargeable gel battery and 12V pump to draw fresh water from the 20 gallon tank and create the pressure to run the system. It uses precision metering tips to accurately dilute two chemical concentrates from the attached jug rack and projects one chemical as wet foam, a second as a fan spray, and rinses. Perfect for precision cleaning in small areas where water pressure is unavailable.